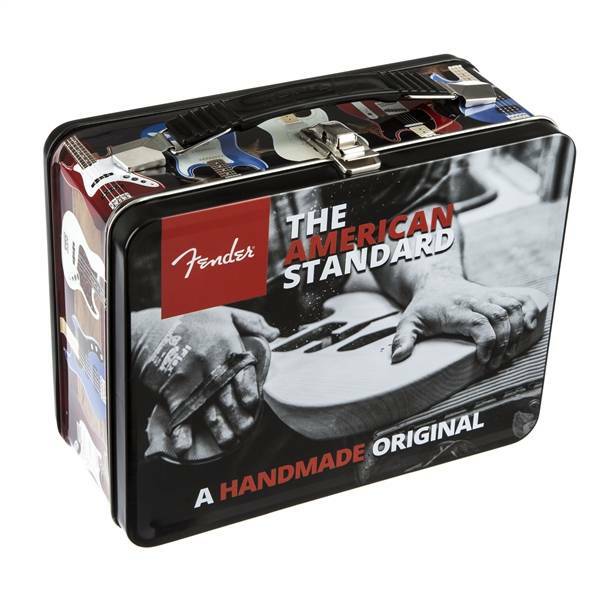 Celebrate the legacy of Fender’s iconic American Standard series—a handmade original—with this sturdy metal lunchbox. 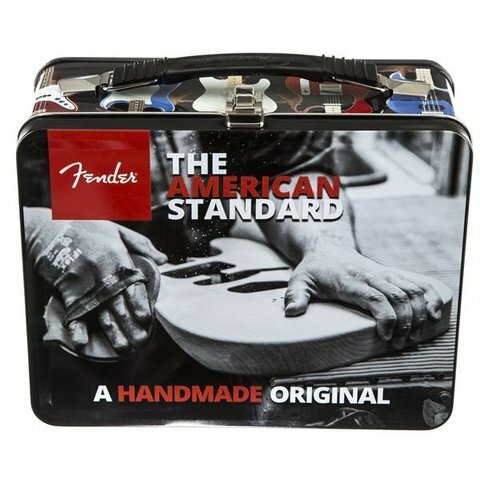 Celebrate the legacy of Fender’s iconic American Standard series—a handmade original—with this sturdy metal lunchbox. The front and rear faces demonstrate the care and craftsmanship that goes into each American Standard with an image of an American Standard Strat® being hand-sanded. The sides bear assorted images of Fender’s legendary American Standard lineup—Stratocaster™ and Telecaster® guitars along with P Bass®, J Bass®, Dimension™ and Jaguar™ basses. Also ideal for carrying your guitar or bass toolkit along with cleaning supplies, or art supplies.